A fairly easy Italian flatbread that will perk up any pasta dinner or a warming Italian soup. 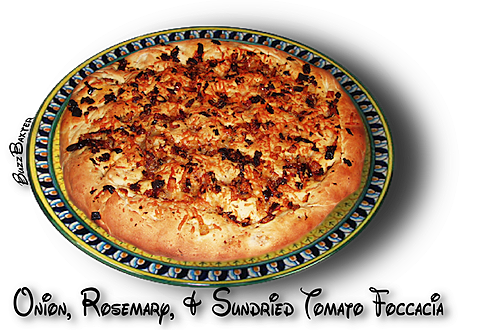 Once you start making foccacia, you will discover dozens of ways to tweak this recipe to your own tastes. achieved. If using a sheet pan or other square pan,  shape accordingly. removing from the oven when cooked.